Football community sends love and congratulations to Ireland international and his partner. REPUBLIC OF IRELAND international Harry Arter and his partner Rachel welcomed a baby daughter, Raine, into the world on Friday evening. 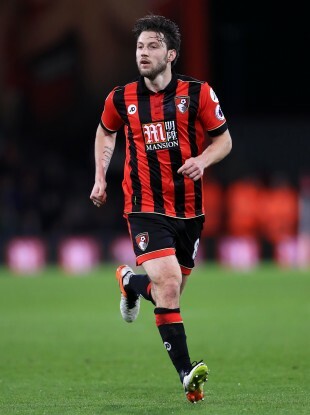 “Thrilled with the incredible news @HarryArter2 and Rachel have a baby daughter Raine,” Bournemouth chairman Jeff Mostyn wrote as he led the congratulations to the couple. “From one family to another, congratulations @HarryArter2,” Bournemouth said in a message on the club’s official Twitter account. The couple suffered a tragic loss in December 2015 when their first daughter Renee was stillborn. Arter, 27, has previously spoken about the devastating loss and the impact that it has had on both him and Rachel. Arter played for Bournemouth just two days after the life-changing event and revealed that he now plays with the aim of doing his daughter proud in every game. The midfielder’s tragic experience has resonated with the wider football community, with various figures offering condolences and good wishes. Email “Harry Arter and his partner Rachel welcome baby girl into the world”. Feedback on “Harry Arter and his partner Rachel welcome baby girl into the world”.